I interviewed Mr. and Mrs. Sam Mitchell at their home in New Meadows, January 20, 1946. They told me the following. Mr. and Mrs. John Mitchell and three sons, John, Andy and Sam, came here in the spring of 1888. 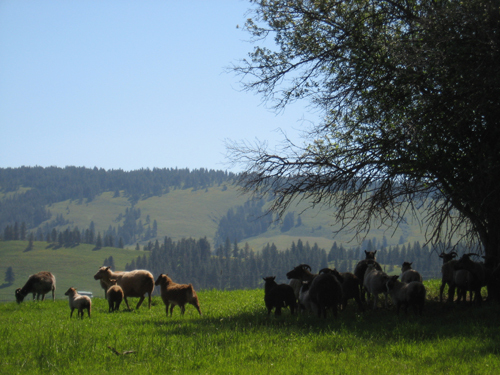 They came from Grand Ronde Valley, Oregon to this valley, but were originally from the state of Iowa. They made the trip in three covered wagons—Mrs. Mitchell driving one of them. They crossed the Weiser River twenty-three times between here and Council, and got stuck in the mud this side of the bridge coming in. They homesteaded where Mrs. Bowlin Abshire now lives. The boys later took up places of their own over the valley. They immediately took part in the pioneer life of the country, Mr. Mitchell preaching the first sermon in the valley in the schoolhouse. Mrs. Mitchell lived to the ripe old age of 99 years, 3 months and 7 days. Sam Mitchell married Annie Zweifel in July 1901. He ran a mercantile business in Meadows for some years, and later was the postmaster here for nineteen years and ten months. Andy was married to Louisa Zweifel in 1895, and moved to the place he lives now. John was married to Miss Tessy Shepard—a girl from here—in 1890, and moved to California in 1895. Mrs. Sam Mitchell belonged to the first Woman’s Club in the valley. It had twelve members, met every week and studied parliamentary. 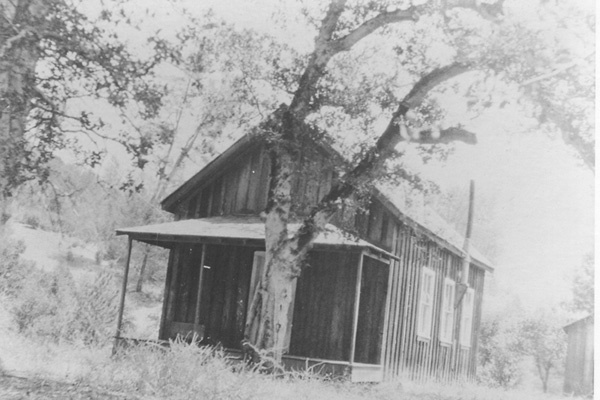 It was the first club organization in the valley. The Odd Fellows lodge started in 1902. In 1945 Mr. Sam Mitchell was the only charter member (out of those twenty) living. Louisa and Anna Zweifel were my great aunts. It is thrilling to read about them on your website.